Non-Thai nationals who wish to work or conduct a business in Thailand are required to obtain a non-immigrant visa (NON-B visa) that will grant a foreigner permission to stay in Thailand for a period of time as well as a work permit that would allow work in Thailand. A common misconception is that a Non-B visa alone authorizes the visa holder to lawfully engage in work in Thailand. A Non-B visa is a pre-requisite to obtaining a Thailand work permit that will grant a foreigner permission to work or conduct a business while staying in Thailand. 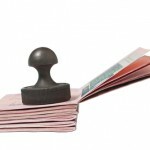 A Thailand work permit is applied for and approved only in conjunction with a valid and appropriate visa process. The job involves work for which Thai nationals are otherwise qualified. The business or hiring company must meet capital and employee size requirements. Non-Thai nationals or foreign workers must possess the correct category of a valid visa or residence permit. Salary offered by hiring companies to foreign workers must meet the minimum salary requirements of the Thai Ministry of Labor. The foreigner must be qualified for the work. 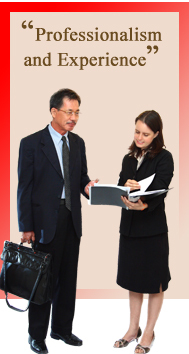 A work permit allows non-Thai nationals to lawfully work in Thailand. Working without a work permit in Thailand is illegal and is punishable by imprisonment and monetary fines. The punishment imposed varies based on the category of work that the person engaged in Thailand.